According to , the National Highway Traffic Safety Administration has opened a probe into 675,000 examples of the 2017-2018 over reports of unintended braking. The probe was opened late last week as a response to a request by the Center for Auto Safety, the very same non-profit organization that successfully lobbied for a full-scale investigation into certain Hyundai and Kia model engine fires. This time, the government agency has tasked itself with looking into reports of the Rogue’s automatic emergency braking system. Apparently, it has been engaging with no obstruction in the vehicle’s path. So picture yourself driving along in your late-model Nissan Rogue and the system decides to suddenly hit the brakes for no reason. Clearly, that can cause an accident. Fortunately, there have not been any reports, at least so far, of any injuries or fatalities. Nissan has already acknowledged the report and says it will work closely with the NHTSA and its Canadian counterpart, Transport Canada. It is already notifying affected Rogue owners throughout North America that a software update will soon be happening. 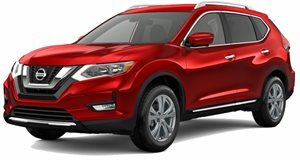 "As always, Nissan will continue to work collaboratively with NHTSA and Transport Canada on all matters of product safety,” Nissan said in a statement. This isn’t the first time Nissan is dealing with an unintended braking situation. Having in modern vehicles is certainly a good thing, but that’s only one side of the coin. These systems need to work as intended. Otherwise, they could become the cause of the accidents they’re designed to prevent.